There is surely nothing other than the single purpose of the present moment.... Live being true to the single purpose of the moment. Although it stands to reason that a samurai should be mindful of the Way of the Samurai, it would seem that we are all negligent. 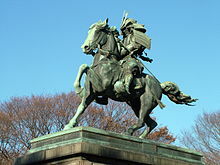 Yamamoto Tsunetomo (12 June 1659 – 1719) was a samurai of the Saga Domain in Hizen Province under his lord Nabeshima Mitsushige. He was famous for his sayings in Hagakure [In the Shadow of Leaves], a controversial exposition of his views on Bushido (the "Way of the Warrior"). He is also known as Yamamoto Jocho, the name he took after becoming a monk. The eleven volumes of this book are to be burned after they are read. There are some people in this book who are still alive and this book may anger them, so make sure the book is burned. Tsunetomo said this repeatedly. Although it stands to reason that a samurai should be mindful of the Way of the Samurai, it would seem that we are all negligent. Consequently, if someone were to ask, "What is the true meaning of the Way of the Samurai?" the person who would be able to answer promptly is rare. This is because it has not been established in one's mind beforehand. From this, one's unmindfulness of the Way can be known. Negligence is an extreme thing. The Way of the Samurai is found in death... It is not particularly difficult. Be determined and advance. The Way of the Samurai is found in death. When it comes to either/or, there is only the quick choice of death. It is not particularly difficult. Be determined and advance. To say that dying without reaching one's aim is to die a dog's death is the frivolous way of sophisticates. When pressed with the choice of life or death, it is not necessary to gain one's aim. We all want to live. And in large part we make our logic according to what we like. But not having attained our aim and continuing to live is cowardice. This is a thin dangerous line. To die without gaining one's aim is a dog's death and fanaticism. But there is no shame in this. This is the substance of the Way of the Samurai. If by setting one's heart right every morning and evening, one is able to live as though his body were already dead, he gains freedom in the Way. His whole life will be without blame, and he will succeed in his calling. Bushido is realised in the presence of death. In the case of having to choose between life and death you should choose death. There is no other reasoning. Move on with determination. To say dying without attaining ones aim is a foolish sacrifice of life is the flippant attitude of the sophisticates in the Kamigata area. In such a case it is difficult to make the right judgement. No one longs for death. We can speculate on whatever we like. But if we live without having attaining that aim, we are cowards. This is an important point and the correct path of the Samurai. When we calmly think of death morning and evening and are in despair, We are able to gain freedom in the way of the Samurai. Only then can we fulfil our duty without making mistakes in life. By the Way of the warrior is meant death. The Way of the warrior is death. This means choosing death whenever there is a choice between life and death. It means nothing more than this. It means to see things through, being resolved. I have found that the Way of the samurai is death. This means that when you are compelled to choose between life and death, you must quickly choose death. The way of the Samurai is in death. I have found the essence of Bushido: to die! According to their nature, there are both people who have quick intelligence, and those who must withdraw and take time to think things over. It is very important to give advice to a man to help him mend his ways. It is a compassionate and important duty. However, it is extremely difficult to comprehend how this advice should be given. It is difficult for a fool's habits to change to selflessness. ... Because we do most things relying only on our own sagacity we become self-interested, turn our backs on reason, and things do not turn out well. As seen by other people this is sordid, weak, narrow and inefficient. When one is not capable of true intelligence, it is good to consult with someone of good sense. An advisor will fulfill the Way when he makes a decision by selfless and frank intelligence because he is not personally involved. This way of doing things will certainly be seen by others as being strongly rooted. It is, for example, like a large tree with many roots. One man's intelligence is like a tree that has been simply stuck in the ground. Variant translation: When all your judgements are based on your own wisdom, you tend towards selfishness and fail by straying from the right path. Your own judgements are narrow minded and have no persuasive power or growth for others. It is best to consult a wise man when a fit decision does not occur to you. A wise man is a fair judge from an objective point of view. He is passing judgement for the benefit of others, not for his own sake. A judgement passed using only one's own wisdom is just like thrusting a stick into the ground and expecting it to grow! To give a person an opinion one must first judge well whether that person is of the disposition to receive it or not. One must become close with him and make sure that he continually trusts one's word. Approaching subjects that are dear to him, seek the best way to speak and to be well understood. Judge the occasion, and determine whether it is better by letter or at the time of leave-taking. Praise his good points and use every device to encourage him, perhaps by talking about one's own faults without touching on his, but so that they will occur to him. Have him receive this in the way that a man would drink water when his throat is dry, and it will be an opinion that will correct faults. This is extremely difficult. If a person's fault is a habit of some years prior, by and large it won't be remedied. I have had this experience myself. To be intimate with all one's comrades, correcting each other's faults, and being of one mind to be of use to the master is the great compassion of a retainer. By bringing shame to a person, how could one expect to make him a better man? It is very important to give advice to a man to help him mend his ways. It is a compassionate and important duty. However, it is extremely difficult to comprehend how this advice should be given. It is easy to recognise the good and bad points in others. Generally it is considered a kindness in helping people with things they hate or find difficult to say. However, one impracticality is that if people do not take in this advice they will think that there is nothing they should change. The same applies when we try to create shame in others by speaking badly of them. It seems outwardly that we are just complaining about them. One must get to know the person in question. Keep after him and get him to put his trust in you. Find out what interests he has. When you write to him or before you part company, you should express concrete examples of your own faults and get him to recall to mind whether or not he has the same problems. Also positively praise his qualities. It is important that he takes in your comments like a man thirsting for water. It is difficult to give such advice. We cannot easily correct our defects and weak points as they are dyed deeply within us. I have had bitter experience of this. We cannot easily correct our defects and weak points as they are dyed deeply within us. All of man's work is a bloody business. That fact, today, is considered foolish, affairs are finished cleverly with words alone, and jobs that require effort are avoided. I would like young men to have some understanding of this. To hate injustice and stand on righteousness is a difficult thing. Furthermore, to think that being righteous is the best one can do and to do one's utmost to be righteous will, on the contrary, bring many mistakes. The Way is in a higher place than righteousness. This is very difficult to discover, but it is the highest wisdom. When seen from this standpoint, things like righteousness are rather shallow. If one does not understand this on his own, it cannot be known. There is a method of getting to this Way, however, even if one cannot discover it by himself. This is found in consultation with others. Even a person who has not attained this Way sees others from the side. It is like the saying from the game of go: "He who sees from the side has eight eyes." The saying, "Thought by thought we see our own mistakes," also means that the highest Way is in discussion with others. A certain swordsman in his declining years said the following: In one's life. there are levels in the pursuit of study. In the lowest level, a person studies but nothing comes of it, and he feels that both he and others are unskillful. At this point he is worthless. In the middle level he is still useless but is aware of his own insufficiencies and can also see the insufficiencies of others. In a higher level he has pride concerning his own ability, rejoices in praise from others, and laments the lack of ability in his fellows. This man has worth. In the highest level a man has the look of knowing nothing. These are the levels in general;. But there is one transcending level, and this is the most excellent of all. This person is aware of the endlessness of entering deeply into a certain Way and never thinks of himself as having finished. He truly knows his own insufficiencies and never in his whole life thinks that he has succeeded. He has no thoughts of pride but with self-abasement knows the Way to the end. It is said that Master Yagyu once remarked, "I do not know the way to defeat others, but the way to defeat myself." Throughout your life advance daily, becoming more skillful than yesterday, more skillful than today. This is never-ending. Among the maxims on Lord Naoshige's wall there was this one: "Matters of great concern should be treated lightly." Master lttei commented, "Matters of small concern should be treated seriously." Among one's affairs there should not be more than two or three matters of what one could call great concern. If these are deliberated upon during ordinary times, they can be understood. Thinking about things previously and then handling them lightly when the time comes is what this is all about. The way of revenge lies in simply forcing one's way into a place and being cut down. There is no shame in this. By thinking that you must complete the job you will run out of time. By considering things like how many men the enemy has, time piles up; in the end you will give up. No matter if the enemy has thousands of men, there is fulfillment in simply standing them off and being determined to cut them all down, starting from one end. You will finish the greater part of it. 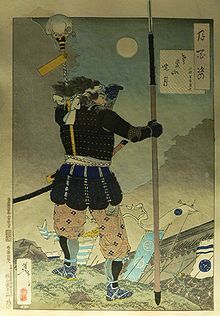 Concerning the night assault of Lord Asano's ronin, the fact that they did not commit seppuku at the Sengakuji was an error, for there was a long delay between the time their lord was struck down and the time when they struck down the enemy. If Lord Kira had died of illness within that period, it would have been extremely regrettable. Commentary on the tale of The Forty-Seven Samurai (or the "Forty-seven Ronin", or Akō Rōshi, the Akō "vendetta"), emphasizing his view that Bushido demands prompt action, and not delay, or concern about success and failure. Variant: "What if, nine months after Asano's death, Kira had died of an illness?" Although all things are not to be judged in this manner, I mention it in the investigation of the Way of the Samurai. When the time comes, there is no moment for reasoning. And if you have not done your inquiring beforehand, there is most often shame. Reading books and listening to people's talk are for the purpose of prior resolution. Above all, the Way of the Samurai should be in being aware that you do not know what is going to happen next, and in querying every item day and night. Victory and defeat are matters of the temporary force of circumstances. There are two things that will blemish a retainer, and these are riches and honor. If one but remains in strained circumstances, he will not be marred. Once there was a certain man who was very clever, but it was his character to always see the negative points of his jobs. In such a way, one will be useless. It is natural that one cannot understand deep and hidden things. Those things that are easily understood are rather shallow. One should search throughout his whole life how best to follow the Way. And he should study, setting his mind to work without putting things off. Within this is the Way. In carefully scrutinizing the affairs of the past, we find that there are many different opinions about them, and that there are some things that are quite unclear. It is better to regard such things as unknowable. In the eyes of mercy, no one should have hateful thoughts. Feel pity for the man who is even more at fault. The area and size of mercy is limitless. Military affairs are not matters for one person alone, regardless of how useful he tries to be. Money is something that one can borrow from people, but a good man cannot suddenly be come by. One should sustain a man kindly and well from the first. And in having retainers it will not do to nourish oneself alone. If you divide what you have and feed your lower ranks, you will be able to hold good men. A person who is discreet in speaking will be useful during the good times and will avoid punishment during the bad. For a samurai, a simple word is important no matter where he may be. By just one single word martial valor can be made apparent. In peaceful times words show one's bravery. In troubled times, too, one knows that by a single word his strength or cowardice can be seen. This single word is the flower of one's heart. It is not something said simply with one's mouth. When discussing things with someone, it is best to speak appropriately about whatever the subject may be. No matter how good what you are saying might be, it will dampen the conversation if it is irrelevant. When someone is giving you his opinion, you should receive it with deep gratitude even though it is worthless. If you don't, he will not tell you the things that he has seen and heard about you again. It is best to both give and receive opinions in a friendly way. There is a saying that great genius matures late. If something is not brought to fruition over a period of twenty to thirty years, it will not be of great merit. When a retainer is of a mind to do his work hurriedly, he will intrude upon the work of others and will be said to be young but able. He will become over-enthusiastic and will be considered rather rude. If everyone were in accord and left things to Providence, their hearts would be at ease. If they are not in accord, though they would do acts of righteousness, they lack loyalty. There is not a man who does not get senile by the time he reaches sixty. And when one thinks that he will not be senile, he is already so. The supreme style of love is unknown love. If the affection is known by the beloved, that love is snob. If you sacrifice your life for the beloved, and she recognises your love after you die, your soul would be appraised. A faultless person is one who withdraws from affairs. This must be done with strength. To talk about other people's affairs is a great mistake. To praise them, too, is unfttting. In any event, it is best to know your own ability well, to put forth effort in your endeavors, and to be discreet in speech. The heart of a virtuous person has settled down and he does not rush about at things. A person of little merit is not at peace but walks about making trouble and is in conflict with all. People with intelligence will use it to fashion things both true and false and will try to push through whatever they want with their clever reasoning. This is injury from intelligence. Nothing you do will have effect if you do not use truth. In affairs like law suits or even in arguments, by losing quickly one will lose in fine fashion. It is like sumo. If one thinks only of winning, a sordid victory will be worse than a defeat. For the most part, it becomes a squalid defeat. A person who knows but a little will put on an air of knowledge. This is a matter of inexperience. When someone knows something well, it will not be seen in his manner. If a warrior is not unattached to life and death, he will be of no use whatsoever. The saying that "All abilities come from one mind" sounds as though it has to do with sentient matters, but it is in fact a matter of being unattached to life and death. With such non-attachment one can accomplish any feat. Every day without fail one should consider himself as dead. Meditation on inevitable death should be performed daily. 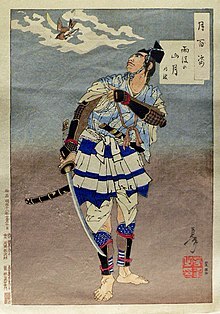 Every day when one's body and mind are at peace, one should meditate upon being ripped apart by arrows, rifles, spears and swords, being carried away by surging waves, being thrown into the midst of a great fire, being struck by lightning, being shaken to death by a great earthquake, falling from thousand-foot cliffs, dying of disease or committing seppuku at the death of one's master. And every day without fail one should consider himself as dead. There is a saying of the elders' that goes, "Step from under the eaves and you're a dead man. Leave the gate and the enemy is waiting." This is not a matter of being careful. It is to consider oneself as dead beforehand. People will become your enemies if you become eminent too quickly in life, and you will be ineffectual. Rising slowly in the world, people will be your allies and your happiness will be assured. In the long run, whether you are fast or slow, as long as you have people's understanding there will be no danger. It is said that fortune that is urged upon you from others is the most effective. Although it is unfitting for someone like me to say this, in dying it is my hope not to become a Buddha. Rather, my will is permeated with the resolution to help manage the affairs of the province, though I be reborn as a Nabeshima samurai seven times. One needs neither vitality nor talent. In a word, it is a matter of having the will to shoulder the clan by oneself. Never be outdone in the Way of the Samurai. To be filial toward my parents. If one dedicates these four vows to the gods and Buddhas every morning, he will have the strength of two men and will never slip backward. One must edge forward like the inchworm, bit by bit. The gods and Buddhas, too, first started with a vow. This page was last edited on 16 November 2018, at 00:46.